Romance is a common genre people tend to dip their toes into. Some say that it’s easy, while some say it’s the hardest part they had to write but a good portion of romances aren’t even that good. There are many trends that I find to be annoying but my opinion might not be the most popular when it comes to this genre. Insta-romances – An insta-romance is when two characters meet for the first time and then they automatically fall in love. This isn’t realistic. Some people believe in love-at-first-sight but how often does that actually happen? Even if it did happen, things shouldn’t just fall into place for your characters. There are awkward stages to relationships, and even uncertainty. If you happen to be writing a story where your characters know when they find their soulmate, you still need to add in some kind of tension (not sexual tension either) between the two of them. They aren’t just going to instantly fall in love with a stranger. Perfect Couples – Couples that don’t have any issues with each other. There is always going to be something that annoys the heck out of your partner. A weird quirk or a habit that they have, might be a huge pet peeve of yours but you learn to deal with it. Give your MC’s love interest a quirk that he or she can’t stand. It might be something that causes a bit of conflict or tension in the relationship. Also, allow your characters to get mad at each other. It’s okay to have your character get angry at the love interest. That’s normal and it happens in real life. To be honest, your readers will really connect with your character(s) if you add some realistic elements. Love Triangles – Love triangles are dreadful things. They are overused and seem to be an excuse to add needless drama. If anything, it shows that your main character is indecisive. Just pick a lover and move on. Using a love triangle as a method for tension when it wasn’t something planned or needed in the plot, it going to seem like a cop-out or the easy way out to your readers. Badass to Simpering Idiot – This is where it usually goes south. You start off with some badass main character who your readers really love but then the love interest appears. Suddenly, your character turns into some sappy little puppy that shows no resemblance to the character that was introduced in the beginning. Your character now only does everything the love interest asks of him or her. This is where people decide to read something different. Love interests should change your character but not to an idiot whenever he or she is involved. Changes need to help the plot (as in, push the plot forward) not hinder it. The Romance Takeover – You know, when the plot started off awesome and intriguing then suddenly, it’s all about the romance. The main plot of the story takes the backburner until they remember that there is supposed to be a climax at some point so they can finish up the novel. This could make the readers feel a little cheated. It’s a waste of their time and that could make them a little resentful. Cheesy Lines – This isn’t in all romances. Some have great dialogue but writers can go a little overboard with the “romantic” parts of the story. Think about what the character is saying. Would you really say half the crap that comes out of your character’s mouth? Would the love interest really enjoy hearing it or would they get embarrassed. Last of all, does it fit the personality of your character? Ask yourself these questions before writing the lines. Unless of course you want your character to sound embarrassing. 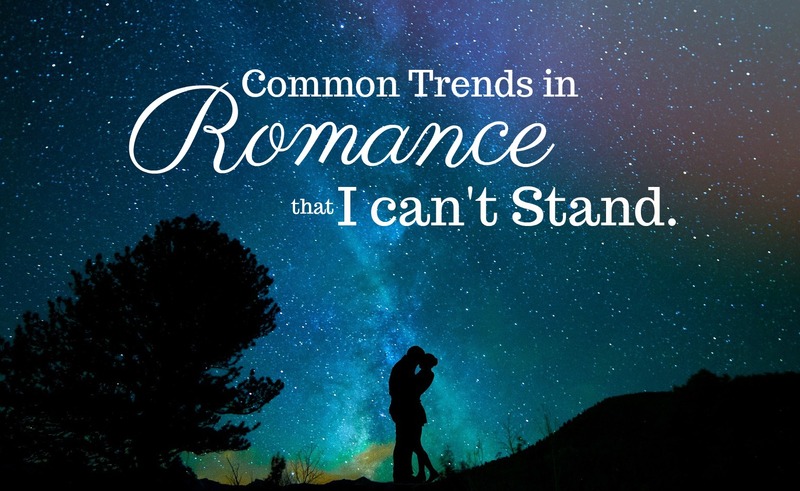 Unnecessary Romances – Some stories just don’t need to have romance in it. If you added romance to bulk up your novel or because you think that romance is the only thing that sells, then you are sadly mistaken. Adding unnecessary romances can ruin your story. Don’t add anything that won’t help the plot (or character development). Joined-at-the-hip – Couples who don’t leave each other’s side. There are some cases where separating them might be hard but they will not do everything together. Even if it’s some fantasy novel where they are traveling, your characters will not spend every waking moment with each other. Let them have their separate lives too. Abusive Relationships – Now, some abusive relationship, if it’s considered a conflict, can work. This is more about the relationships that are portrayed as “romantic” when it’s really just abusive. If you are uncertain if your characters are considered abusive, look it up. Research “signs of an abusive relationship” and look at the collective lists. If one of your characters or both of your characters show several signs, you might want to fix it. So here are the 10 things that drive me insane when I read books with romance in it. I'm not saying that these can't be turned around and made into some damn good plot lines. It's all about how you use them. Unfortunately, I'm still looking for people to use these to benefit their story. Or for some good satire. © 2017 Tracey L. Glass. Simple theme. Powered by Blogger.